All bookings made will require a £75 Deposit to Secure all Booking made full Balance will need to be paid 4 weeks Before i am Happy to except payment instalments. 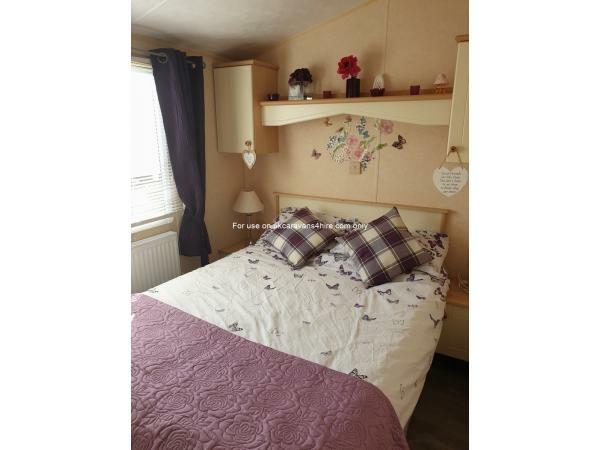 Lovely Caravan, in good location for beach, amusements, fun fair and shops. there is market on selected days too. Other places to visit not too far away. Enjoyed our stay and would stay again. What a beautiful caravan all mod cons, close to all amenities, the camp site itself was lovely too. Liam went above and beyond to make sure our stay was enjoyable always checking in with us. Will definitely be returning later this year and recommending to family and friends. The caravan was excellent very clean and comfortable with everything you need. Liam was a lovely man and did everything to make sure you could have the dates you wanted and made sure you were happy. Definitely a 10 out of 10 for owner and caravan. i won't leave a 10 for the review because people reading it might think i have been lazy! liam is always available and goes out of his way to accommodate you. the van is very cosy with double glazing(seagulls are quieter! )and water central heating. shower room and toilet are separate so no waiting.freeview tv's in the front room and main bedroom.i understand sky maybe coming next year. we will be booking next year! Stayed for the weekend during the summer holidays with my girlfriend had a amazing time! The park is in a great location with access to the beach with lots going on in the town. The caravan was like a home from home fully furbished and Liam was on hand to help if I needed anything which was excellent. We will deffintley return in the future what a lovely break. Bobby-Joe. I’ve not been on a holiday with my whole family in YEARS! Going abroad is just too expensive and not practical for my family. So, I decided to book 4 days away to finally get us altogether so we could enjoy sometime away. I am so glad I booked this trip. We all had the best time and between us created so many memorable memories that will never fade. The caravan was spectacular! immaculate throughout with all the mod cons you’d expect in a luxury home setting ! It Had everything and more, so much more than we ever expected, it really is a home away from home With modern kitchen and electronics throughout. It’s situated just a stone throw away from the beach which was ideal for the kids and my older parents. Who can’t walk very far All the local shops and markets are all within a reasonable distance to the caravan and site. And the fair ground is just over the road, so kids were always happy! I have already booked for next year and hope to make it a regular family holiday get together I can’t thank you enough Thank you!!!! Stayed in liams caravan a few months ago, very welcoming and homely. Had everything you could of needed. Would definetly recommend this caravan and will be booking again. 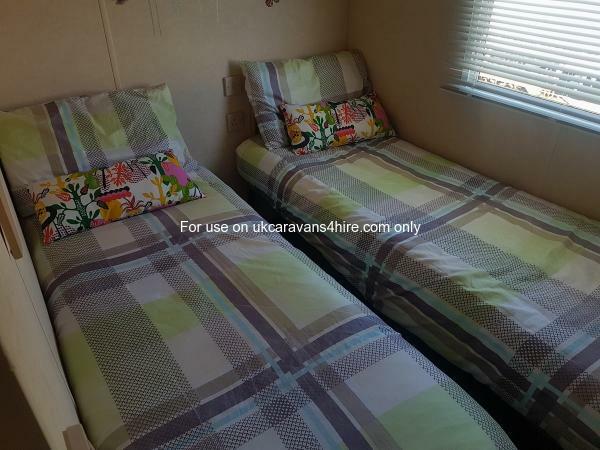 A nice, well furnished caravan on a good site. A good location in Towyn and not far from the beach. Liam was great and easy to deal with. Highly recommended. Our stay at Liams caravan was the best weve ever had at any caravan, it was so modern,homely just absolutley beautiful, Liam had thought of everthing you might need and if anything needed to be sorted out he dealt with it straight away, i cant say anything bad about the van or our stay it was absolutley fabulous. We have already booked again for our holiday next year. Thank you again Liam. liams caravan is spot on clean smells fresh..he thinks of everything there was sweets for the kids wine for the adults when we first got there.also tea coffee. it really is a hame from home we felt at home in liams caravan... all beds made up for us nice clean rooms. we will be booking again. Top quality caravan, home from home comforts. Can not say one negative will definitely be going back soon. Wife loved the fact it had a washing machine and a separate dryer! we had the pleasure to stay at liams van it was a idea location .. really clean and comfortable no problem checking in had a fab few day will be booking again thanks .